IT'S TOFFEE'S TURN: Najib under Siege? Zahid and UMNO looking at the Panic button. Najib under Siege? Zahid and UMNO looking at the Panic button. 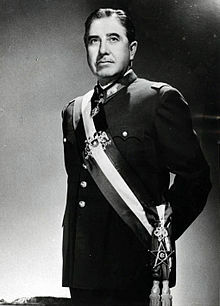 There is precedent to this and it applied to quite a similar person, Augusto José Ramón Pinochet Ugarte a former President of Chile. 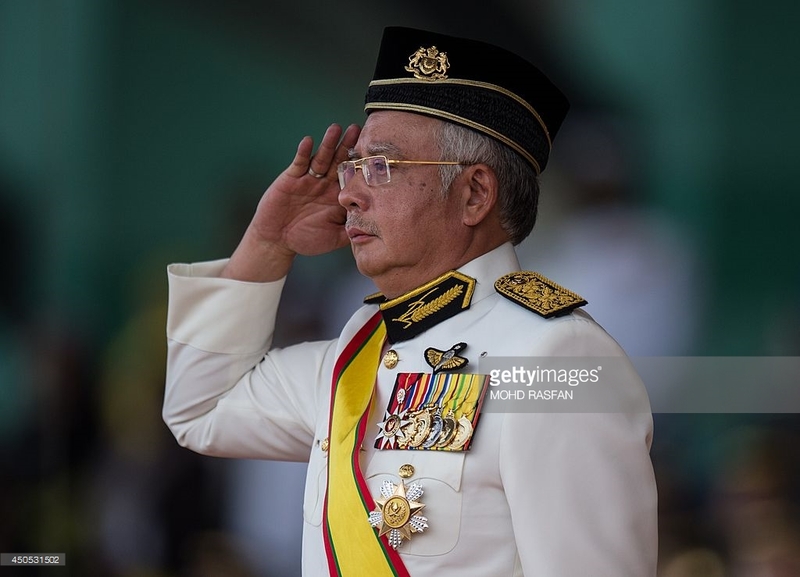 There are striking resemblances between this Augusto Pinochet and Najib Tun Razak so much so, if you did not look at the photographs and jut read their histories one might conclude that these are not just comrades in arms but more like identical twins. Google is just too full of Pinochet he died in disgrace on December 10, 2006 and at the time of his death there were about 300 outstanding criminal cases mostly for murder against him. Norm Coleman, ordered in the wake of September 11 attacks, uncovered a network of over 125 securities and bank accounts at Riggs Bank and other U.S. financial institutions used by Pinochet and his associates for twenty-five years to secretly move millions of dollars. Senator Coleman noted: "This is a sad, sordid tale of money laundering involving Pinochet accounts at multiple financial institutions using alias names, offshore accounts, and close associates. As a former General and President of Chile, Pinochet was a well-known human rights violator and violent dictator." Aren't these identical to accusations being made against Najib. 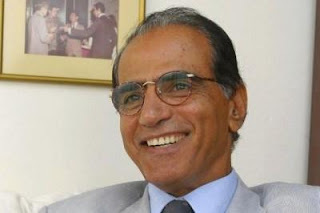 Pinochet was detained and placed under house arrest in Britain in 1988, the same can apply to Najib, if Dr Shaariibuu Setev the father of Altantuya, and Hussain Ahmad Najadi the son of the murdered Am Bank founder, can give these nations conducting investigations reasonable cause to do so andthese nations are prepared to use the Universal Jurisdiction to arrest, charge and try Najib. purchases of arms too, and the murders of Altantuya Sharibu and Hussein Najadi of Am Bank this looks like a real possibility. It was Saturday 26 March at or about 9.00 p.m. when I was writing the article on "Najib trembles as Guan Eng goes clear", I received call from my dear friend from down south, he was with another friend in Masjid Tanah, and he asked me if it would be convenient for me to drive down to Melaka today 27/3 as he was in Melaka at the house of this mutual friend of ours, all from UMNO except me. I had to turn him down as it is Easter and I have obligations of celebrating this sacred festival with my family and so as an alternative we decided to go on skype. The news was that there is a revolution within UMNO taking place right now, some influential UMNO leaders in the Najib camp have consulted with Zahid Hamidi to get Najib to step down or to just remove him by backing a vote of no confidence in surprise move in Parliament. The same chap, who I know only as Daud told me that they were also considering a joint representation of a sizeable majority within the party to get Najib to step down as the citizens initiative called the "Peoples Congress" was about to kick off and they themselves could feel the undercurrents within UMNO backing the move to remove Najib by this group before he removes UMNO from the Malaysian landscape. 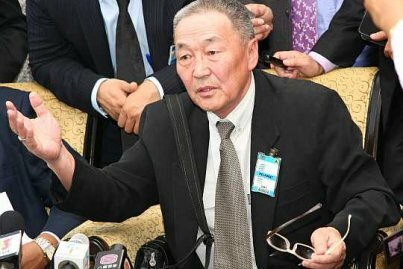 "To these people the threat is real and this is not the time they feel to back one man and lose the entire party," said Daud. I had to hang up on Daud and go to Church it was Holy Saturday and I had to go. I had gone for the midnight mass that started at 11.00 in the night and continued till 2.00 a.m this morning so when I returned I really did not have the time to put things down on paper, I decided to retire for the night and went to bed at about 3.00 a.m. this Easter Sunday morning. Then at about 3.00 p.m. I began watching the live telecast of the "Peoples Congress" asking for Najib to step down, I was surprised to see both Muhyiddin and Mukhriz very calm and confident in their speeches, another friend who is from the Negeri UMNO who was at site told me over the phone about this talk to that "UMNO members are finally coming to their senses" there was talk he heard among the UMNO members at the rally about Zahid Hamidi removing Najib, but that the was not sure how it was be carried out. Later in the day while I was watching the peoples congress at about 4 in the evening, when the Amnah Deputy President was making his speech Daud called me again to cheeck if I was following the congress. Will he take over or be taken over? 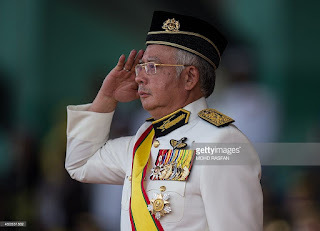 He has heard, that a certain Wanita head is now between the Devil and the deep blue sea, she is grateful to Najib for having kept and backed her, but she is also tremendously indebted to Mahathir for having created her politically. The UMNO lobby that is now preparing this removal of Najib include someone so close to him I am told that I am sure if he is in with Hamidi, Najib is as good as out I really find this too difficult to believe and so too Daud who told me this, but he has told me his source is sufficiently placed in UMNO to be in the know, and this is the last person you'd expect t turn coat on Najib. The other piece of the person who is lined up to to replace Apandi the Attorney General has told Zahiddi that he will find it difficult to take on the new position, because so much verifiable evidence is now in the public domain that he will have to act on that information if he is forced to take the job. Daud says the Johor group can already smell the rot, they are very confident that Hamidi will not replace Najib, a new movement within UMNO are now pushing for a Zaid Ibrahim return,and are beginning total to the grassroots about this. In fact Zaid Ibrahim's name was dropped by a lady from wanita UMNO. The next AG is in favour of letting Najib go, that is run away to take refuge overseas, but Zahid and his supporters fear a huge backlash from the people if he allows that to happen as Zahid himself is aware of this third force that is assembled and ready to go, the group that has approached Zahid are made up of Zahid loyalists, whereas there is another UMNO group more aligned with Mahathir. It now boils down to Zaid or Zahid. 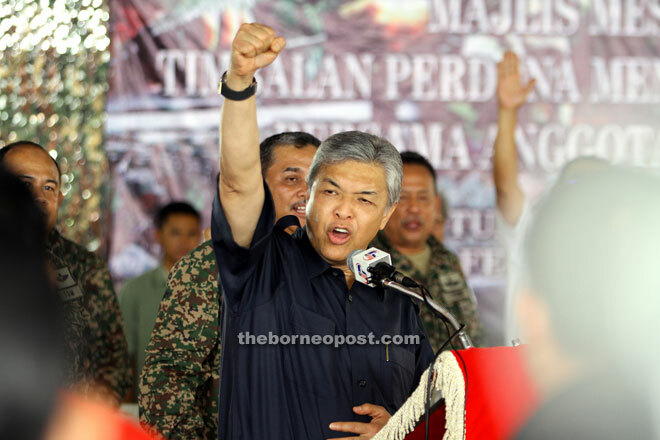 Zahid as the Deputy PM has the advantage, but one must remember that it Muhyiddin and not Zahid or Zaid who is the Deputy President of UMNO and who will have the best advantage in such a situation. How about Najib? "Well he is more aware of what is happening than you and me put together", said Daud. Rosmah is terribly worried and has really even asked him to give it up and move out, while they still can, I am told. The groups going out want Najib investigated, charged - where there are sufficient evidence to do so, and punish him without any room for error, prosecuted to the fullest extent of the law, and they are dead serious about it. The alternative being offered is to allow France to arrest Najib under Universal jurisdiction which allows other nations to claim criminal jurisdiction over an accused person regardless of where the alleged crime was committed, and regardless of the accused nationality, country of citizenship, Crimes prosecuted under universal jurisdiction are considered crimes against all, too serious to tolerate jurisdictional arbitrage and in thsi case they have the Altantuya murder and the the alleged murder of Am Bank owner and Altantuya Shaaribu. Universal Jurisdiction was actually used by Britain against the late Chilean dictator Augusto José Ramón Pinochet Ugarte andit can be used for the arrest of Najib and even Rosmah according to Daud and my Melaka friend. Things seem to be getting hot during this extraordinarily hot season, and at the same time as the heat piles on Najib, Zahid is feeling extremely uncomfortable.